Last Thursday, I found myself at University because of a work related event. It has been a while since I was there, so much has changed! During my lunch break I decided to go out and look for something to eat. I was starving and on my way to buy a pizza slice I came across The Pulled Meat Company. I heard a lot about their food but never managed to try it. After checking the menu I decided to give it a go. 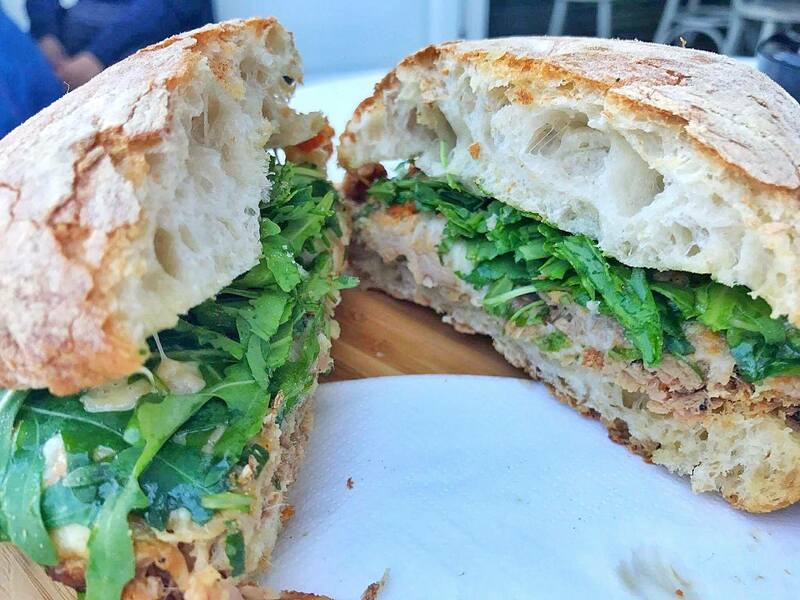 The Pulled Meat is a very new concept in Malta but it has surely gone down well with locals. The Pulled Meat Company serves some of the best slow cooked meat on the island. Throughout a very short period of time, they proved they know what it takes to slow- cook meat and turn it into succulent dishes. A few months ago they closed the doors in South Street Valletta and relocated in Gzira. Excellently located in Gzira and University Heights, The Pulled Meat Company offers amazing food cooked from the heart. The menu is small but the portions are generous. They are open for lunch and dinner almost everyday- Bingo! So whether you feel like a holy lunch or just a quick bite, The Pulled Meat Company is there for you. As I mentioned before the menu is limited but I am sure that there is something to suit anyone’s palate. Here you can opt for pies, pittas, salads, pasta or else indulge in their signature pulled meat ftajjar. After consulting with one of the most service minded and friendly manager, I believe the name was Steve, I ordered the Pulled Pork Ftira. This was honestly one of the best sandwiches I had ever had! The meat was extremely tasty and don’t get me started on the melted Applewood cheese. Although it hasn’t been around for a long time, this young company has already came a long way. If you are in Gzira or on Campus you should definitely try it out. I will definitely go back to try something else on the menu.